Published in Industry Updates on 06/18/2018 by Harry Lew, Chief Content Writer. 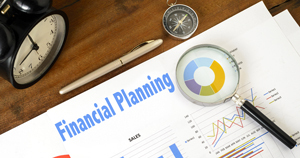 Economic conditions have a way of putting financial plans on the shelf. But when things improve, consumers feel less constrained, creating opportunities not only for themselves and their families, but also for their insurance agents and financial advisors. That’s the takeaway from a new survey from the American Institute of CPAs (AICPA). Recent AICPA research quantifies the degree to which better financial conditions are giving consumers new life options. According to its surveys, the number of Americans putting off a major life decision because of financial concerns has plummeted to 35 percent this year, a decrease from 51 percent in AICPA’s 2015 survey. For example, in 2015, 18 percent of consumers said they’d delayed retirement because of poor financial conditions. However, this year only 10 percent reported delaying their plans until things got better. Similarly, the number of Americans who were forced to put off a medical procedure because of financial worries declined from 19 percent in 2015 to 12 percent in 2018. Consumer life choices have opened up in other ways, AICPA suggested. Fewer Americans are putting off marriage this past year vs. three years ago (6 percent vs. 12 percent), and fewer are delaying having children (7 percent vs. 13 percent). What’s more, the percentage of Americas delaying higher education because of money concerns decreased markedly since 2015 (24 percent then vs. 13 today). And fewer consumers say financial worries have prevented them from buying a new home (22 percent today vs. 14 percent in 2015). The AICPA findings were based on a 2018 Harris Poll survey of 1,014 adults. Harris also conducted the 2015 survey, which included data from 1,0101 adults. The AICPA survey also probed why Americans put off important financial decisions. In both the 2018 and 2015 surveys, 60 percent of respondents cited lack of savings as the reason they didn’t act to achieve important family goals. The second most commonly cited reason this year was concern about the economy . . . pegged at 38 percent now compared with 50 percent in 2015. One area that has not turned around is the impact of increased medical costs. According to the survey, 34 percent of consumers this year said they delayed a life goal because of difficulties paying for healthcare, an increase over the 29 percent of consumers who reported this trouble in 2015. Although the AICPA survey paints a positive picture about most Americans’ current financial standing, it does suggest that they may be getting a bit lax about their finances today compared with several years ago. For example, fewer consumers are . . . Following a monthly budget (39 percent now vs. 58 percent in 2015). Starting or increasing their savings rate (36 percent vs. 44 percent). Putting less money on credit cards (30 percent vs. 50 percent). Starting or adding to an emergency fund (30 percent vs. 35 percent). Starting or increasing retirement account contributions (28 percent vs. 32 percent). For their part, financial professionals should view the survey results as a call to action to re-engage with prospects who put their finances on hold several years ago. Consumers who failed to take needed steps, whether related to insurance, investments, or real estate, may now be much better positioned to respond favorably to an advisor follow up. Because economies have a way of turning negative, financial professionals should touch base with prospects soon before the economy turns negative again and consumers re-adopt their defensive posture.